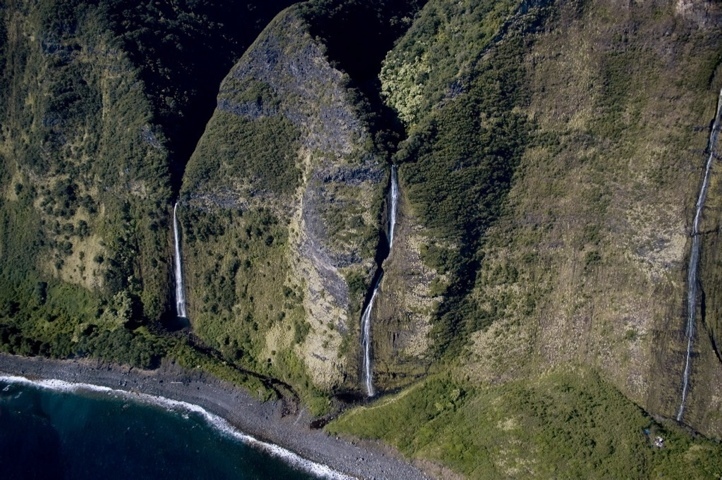 This photo is another example of helicopter thrills around the Big Island. I had the opportunity to fly with Blue Hawaiian Helicopter Tour company and was rewarded with some outstanding views of nature’s masterpieces. After an early-morning flyover of volcanic activity around the national park, we headed back to the chopper base along the dramatic Hamakua Coast on the north side of the island. When there has been adequate rainfall the waterfalls are spectacular.